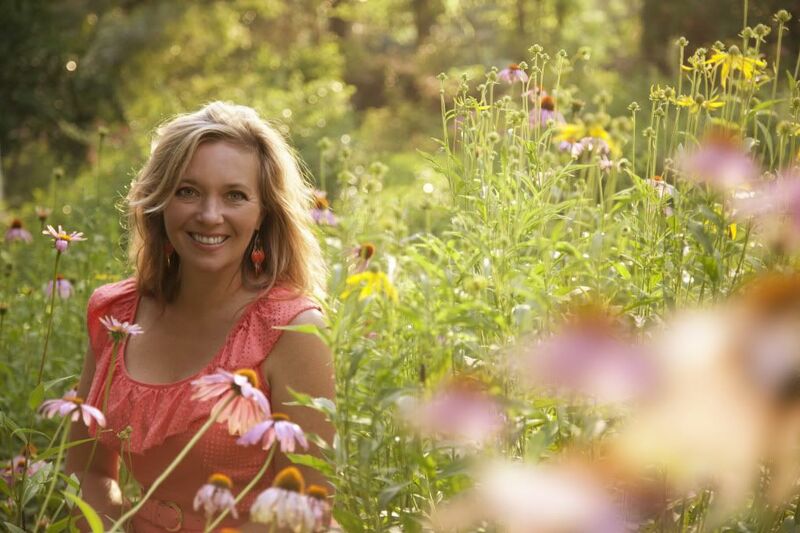 Here's a picture of my pretty and talented sister Kris in my meadow garden. Isn't it awesome? Yes, I pressed the shutter release, but she set up the whole shot and told me exactly what to do and where to stand--and I think the end result is just about perfect. She made my meadow look much bigger than it really is, more wild and lush, more golden and sparkly. And she's got such a natural, happy look. (I love her dress, too.) Check out more of Kris's work here. Lovely sister in lovely gardens.